Brooklyn faces winnable games with the Kings at 3-7 in their past 10 games and the Lakers at 2-8 in their last 10 entering Tuesday. 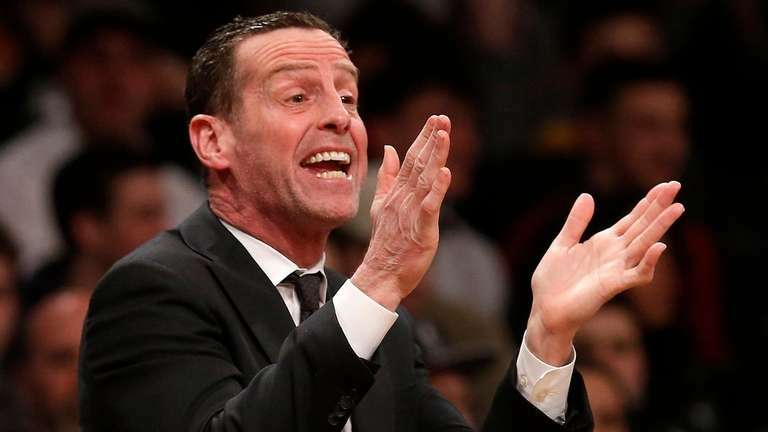 SACRAMENTO, Calif. — For most of the past three seasons under general manager Sean Marks and coach Kenny Atkinson, the Nets have leaned on signs of progress wherever they could find them to encourage growth. But now that they are in playoff contention as the seventh-place team in the Eastern Conference, it’s bottom-line time. And three straight losses to open their killer seven-game road trip won’t cut it. Blown leads of 17 points at Oklahoma City and 19 points Sunday in Los Angeles against the Clippers are signs of regression. The Nets showed their resilience by wiping out a 10-point lead in the final minute to tie the Clippers, but Lou Williams’ game-winning shot rendered that comeback meaningless in the bigger picture. 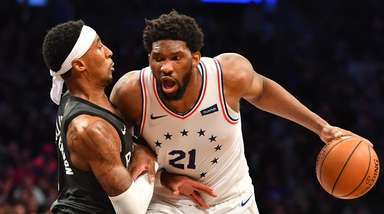 So, with 10 games left in the season and only a one-game lead over eighth-place Miami and a 2 1⁄2-game lead over ninth-place Orlando, the Nets were approaching their game against the Kings Tuesday night at Golden One Center as a must-win. In fact, the next two Nets games fall into that category because the Kings are 3-7 in their past 10 games and the Lakers, who host the Nets on Friday, entered Tuesday night 2-8 in their past 10. “I don’t believe in moral victories,” DeMarre Carroll said after the comeback against the Clippers. D’Angelo Russell, who had an outstanding game with 32 points and 10 assists, was praised by Atkinson for finding a good balance between scoring and playmaking against the Clippers. But when it was suggested to Russell that the Nets showed improved toughness and physicality by the way they battled the Clippers, he wasn’t having it. “It’s hard to just say that,” Russell said. “We’ve just got to be consistent. I think the next step for us is having the energy to pull back and finish the game as well. That is the hard lesson at this time of season. At 36-36 with 10 games to go, the Nets’ magic number to make the playoffs is eight. The ninth-place Magic can win a maximum of 44 games if they win out, eight more than where the Nets stand, but the Nets have the tiebreaker. The 10th-place Hornets only can win 43, so any combination of eight Nets wins and losses by either of the teams behind the eighth-place Heat will put the Nets in the playoffs. But the Nets’ final eight games after the Kings and Lakers are against teams that currently are in the playoffs. Nothing will be easy down the stretch, and that makes beating the Kings and Lakers of paramount importance. Looking back at the Clippers loss, the Nets know they only have themselves to blame for blowing a 19-point second-quarter lead.